Scott Shane discusses terrorism, then and now. Many Americans might have sighed in relief when President Obama announced the death of the terrorist instigator Anwar Al-Awlaki in 2011. But as heinous as his words were, and as awful the actions he's accused of plotting, Al-Awlaki was an American citizen, the first to die by drone strike by presidential order. 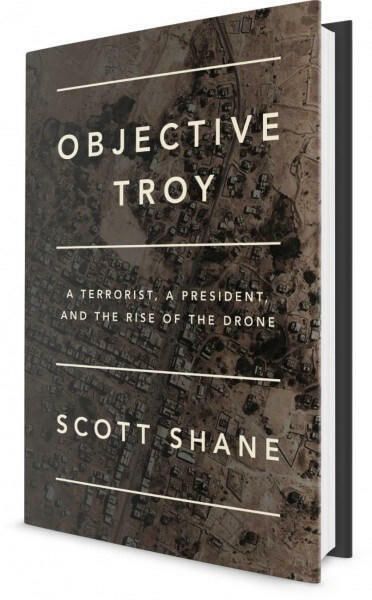 The story and the events leading to and from it are told in Objective Troy: A Terrorist, A President and the Rise of the Drone, by longtime New York Times terrorism reporter Scott Shane. He explores the military and moral issues in an hour of the Exchange. The Current American Approach To War: "Unmanned"
William Arkin shares a wealth of knowledge about drones and warfare. If we know a great deal about our enemies, we can beat them in war. Especially if we know exactly where they are. Military expert William Arkin says these are common lines of thought among warriors, and he finds big problems with them in Unmanned: Drones, Data, and the Illusion of Perfect Warfare. Arkin's book looks at current approaches to military intelligence and hardware--primarily drones--and finds them working against their intentions. Phyllis Bennis shares her views and research on American militarism and diplomacy. Our leaders talk a great deal about diplomacy, but they also talk about "projecting" American power. And often, that has meant going to war. The Institute for Policy Studies formed more than 50 years ago to promote justice and find alternatives to war.